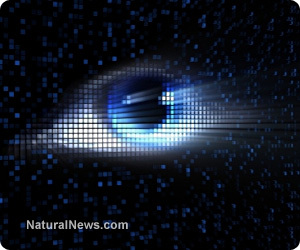 (NaturalNews) Many political observers have asked, rhetorically, "What would malevolent dictators like Josef Stalin and Adolph Hitler have been able to 'accomplish' if they had access to the technology that exists today?" As cruel and inhumane as they were to various demographics and their own populations, today's technology in the hands of such tyrants would have yielded much more savagery, without question. One such political observer - Britain's Tom Stoppard, who has signed on to a letter demanding an international bill of digital rights - says the systems in use today to spy on citizens everywhere would have been the envy of such dictatorial men and governments. What in principle would justify the scope of the surveillance revealed by the Snowden leak? Would it be enough, for example, if it could be shown that a specific potential act of terrorism had been prevented by, and could only have been prevented by, the full breadth and depth of what we now have learned is the playing field of the security services? We should hesitate before we stray off the touchline. The idea that public safety, the safety of the innocent, is an absolute which trumps every other consideration, is tacitly abandoned in the way we live. As it is, the NSA has not been able to come up with a single instance where mass surveillance and harvesting of "metadata" on virtually all Americans has resulted in thwarting terrorism, according to a U.S. district judge who just ruled that the agency's blanket surveillance violates the Constitution's Fourth Amendment. Nobody would be killed on the roads if the speed limit were 10 miles an hour. Flying would be safer if airport security demanded body searches with no exceptions and the examination of every item in every piece of luggage. On the matter of surveillance in general we have, without much discussion, learned to live with almost blanket surveillance by CCTV in our towns and cities. As a result thousand of crimes, including murder, have been solved and perhaps many more prevented. But how many more would there have been if we doubled the number of cameras, or increased them tenfold, a hundredfold? Having said that, much of today's overt surveillance takes place in plain view and in public: There are cameras everywhere. On city streets and corners, at traffic lights, in businesses and in government buildings. They are not in our homes (yet) - though you could say NSA electronic surveillance and gathering of our metadata definitely occurs while we are in our homes. What kind of society are we trying to protect? Still, Stoppard notes, "the world of surveillance operated by the people we pay to guard us exceeds the fevered dreams of the Stasi" - the former communist East German secret police. And while East Germany's secret police were not battling global threats, they were certainly the internal "enforcement" arm of the East German government. The kind of surveillance technology available today would have made an ominous presence simply overbearing. At issue now, quite simply, is how much of this abuse we as Americans - as well as citizens of democracies around the world - are going to be willing to take. Most reasonable people can agree on the need for security in an increasingly dangerous world, but in the U.S. at least, any security measures must comply with our nation's founding, governing document. Otherwise, what exactly is it that we're trying to protect? What is the society we wish to protect? Is it the society of complete surveillance for the commonwealth? Is this the wealth we seek to have in common - optimal security at the cost of maximal surveillance? Not that anybody asked us.